Three companies, two of them repeat winners, topped a field of 75 finalists to be named “Best Place to Work in Maine” at an awards ceremony Tuesday night at the Augusta Civic Center. 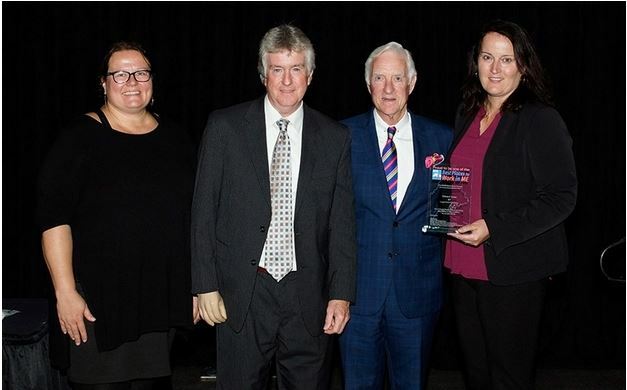 Edward Jones, Patriot Subaru of Saco and Maine Information Network — respectively, the large, medium and small company winners — were named top places to work in the 13th year of the program sponsored by Maine State Council of the Society for Human Resources Management. About 650 people, most of them from the 75 companies that made the final cut, attended Tuesday’s awards ceremony. The 75 finalists were announced in August.